How do you put a smile on the face of an oenophile and an audiophile at the same time? Easy—just take a peek inside the wooden box bearing the name Playback Designs. Not only will you discover digital audio in the form of the Sonoma Series Merlot DAC or Syrah Music Server, but you’ll also encounter a very nice bottle of red wine along with a crystal wine glass. Actually the intersection of fine wines and high-end audio is a familiar one. It’s a shared passion for many, combining a dedication to the finer things in life, a penchant for extreme quality control, a sense of exclusivity, and of course, the hobbyist mentality for categorizing and collecting. This symbiotic relationship clearly struck a chord with Playback Designs’ Andreas Koch, leading the company to partner with Santa Ynez winery Carhartt, founded in the mid-1990s, and noteworthy for, you guessed it, its Merlot, Syrah, Pinot, and other varietals. If the Koch name rings a high-resolution bell it should. Back in the 90s, Koch worked at Sony in San Francisco, where he was leading figure in the development of Sonoma, the first DSD recording and editing workstation for the production of SACDs. Putting aside my glass of red for a moment, here’s a little background. Playback Designs (PBD) was founded in 2008. Its Sonoma lineup debuted a couple of years ago and comprises three discrete components operating like a tag-team. Considered here are the Merlot DAC and the Syrah Music Server. Rounding out the line are the Pinot ADC, an analog-to-digital converter, and a D/D converter known as the OpBox—a board mod-kit for Oppo universal players that captures all the native audio data supported by the Oppo (including SACD and Blu-ray) and relays it via a direct digital link to the Merlot for conversion. I’ll leave these last two for another day. Encased in an aluminum enclosure with organic wave-like ripples flowing across the top cover and front panel, the Sonoma gear looks uniquely elegant. 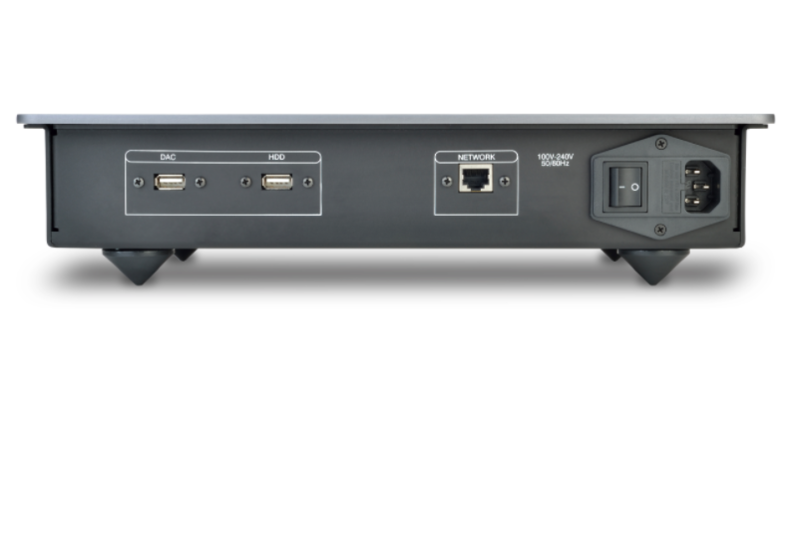 The Merlot DAC includes AES, SPDIF, and USB inputs and will handle formats up to 384kHz PCM and 11.2MHz DSD (DSD256). The AES and SPDIF inputs also support DSD via DoP. The Merlot uses a differential discrete DAC of PBD’s own architecture and design. The rear panel sports a set of balanced and unbalanced analog outputs. The unadorned front plate has a small, lighted panel that provides information about inputs and playback sample rate. Additionally, there’s a headphone output with excellent sound quality controlled by an analog volume control. The headphone amp is a discrete design driven directly by the DAC and separated from the fixed line-level outputs. Controlling and organizing the flow of digital music is the Syrah Music Server. It uses a reconfigured version of Windows 10 Pro for audio and network processing. Its hardware is based on the Intel NUC, which uses a Celeron processor and is outfitted with 4GB of RAM. Syrah includes 2TB of internal storage (solid-state drives are available at extra cost), but it can also be connected to self-powered external storage, such as hard drives and networks. Like the Merlot it welcomes virtually any file format or native sample rate. Syrah also supports DLNA streaming and services like Tidal from any AirPlay-supported device. The Syrah package includes an outboard disc drive so users will be able to rip compact discs to Syrah’s internal storage. Playback software is the popular JRiver media server. The remote app for tablets is loosely based on JRemote, but has been customized for fully automatic ripping (with dbPoweramp), metadata retrieval, backup, metadata editing, and some other features. In a significant break from many in this segment, the Sonoma series is based on an open architecture. PBD does not use any off-the-shelf components, including DAC chips. The platform is user-programmable, which ensures future-proofing. Plus, any new algorithms that PBD offers can be uploaded by the user as they become available, free of charge. Rather than using fixed-frequency-domain filters that measure well with sinewaves but perform poorly with transient music signals and cause digital ringing, Playback uses time-domain-variable filters that continuously adjust to the momentary transient characteristics of the music being played. Playback Designs has also eliminated the PLL, which is used to control and minimize jitter, in favor of its own approach. In this way, PBD states, it can “extract a clock from any incoming digital audio stream that results in less harmful clock jitter than any other known method.” Merlot also employs a linear power supply with a custom toroidal transformer with magnetic shielding. 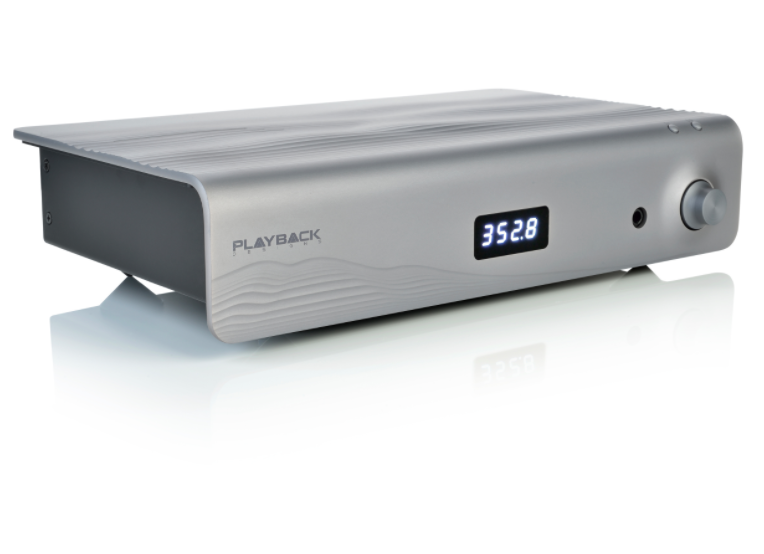 Support along with firmware and software updates are available on the Playback Designs site. Setup was relatively easy. Frankly, I always hold my breath when adding a music server to my network, but except for the need of a modem reboot there were no sweaty-palm moments. Merely connect a USB cable to link the Syrah to the Merlot, and the system is good to go. The Playback Designs app, which I downloaded to my iPad from iTunes (Android is also available), offered a series of well-organized, navigable menus, which included a wide range of settings and attractive, readable graphics. Playlist organization, as well as the agility to dive deeper into an album’s info and track selections, was excellent. I also appreciated the volume control and the soft mute, which gently fades the track’s volume and smoothly brings it back up. There’s always a learning curve with an app, but this one was particularly well executed. Partnering the PBD with a great chain of electronics is critical to extracting what it is capable of. It loved the Ypsilon Phaethon integrated to such an extent that I suggested they get a room. Also making beautiful music together with the Syrah/Merlot was the Constellation Inspiration 1.0 integrated (review forthcoming) and the MBL Corona C51. Cabling was the Audience Au24 SX. In a system of this resolution, a high-performance USB cable makes a significant difference, and once again I called on my go-to USB cable, the Audience Au24 SE.